MOSCOW, October 22. /TASS/. The Russian authorities deny plans to restrict access to the world wide web or put it under comprehensive control. But there have been ideas of changing the way Internet infrastructure is managed to give regulators at least some leverage to manage it within national territory. Users will be persuaded that some sort of control is crucial from various points of view, including national security, experts say. “We are against restricting access to the Internet, placing it under total control or limiting individuals’ legitimate interests and opportunities,” Federation Council Speaker Valentina Matviyenko says in an article on Internet problems in the government-published Rossiiskaya Gazeta. Russian President Vladimir Putin told the Security Council on October 1 that authorities had no intention of putting the Internet under total control. “Such a possibility is not even being considered,” he said. Meanwhile, Communications Minister Nikolay Nikiforov, speaking at a conference of the International Telecommunication Union (ITU) in Pusan, South Korea several days ago voiced the proposal to give the state a far more significant role in managing the Internet than it has now, and for making the Internet itself subordinate to national legislation. He claimed the Internet should be reformed under United Nations auspices so that individual states can establish their own sovereignty over the network and return individual Internet users to the fold of their countries’ jurisdictions. The Internet “is making the world ever more vulnerable” and there is a great risk of “premeditated interference with the operation of national segments of the network or complete disconnection of countries from the Internet without explanations,” Nikiforov said. This is not the first time Russian officials have called for reforming the pattern of managing the Internet. At a conference in Dubai two years ago, several countries, including Russia, suggested a number of amendments to ITU rules that would empower member-countries to manage website addresses and domain names in their territories. Russian media say the question of enhancing control of the Internet has been on the agenda at different levels in Russia since last spring. Among other things, the possibility was considered of providing access to all foreign sites through a common national operator and for moving all DNS servers of the Cyrillic domains currently found abroad, to Russian territory. Experts acknowledge that the younger generation is rather negative about the idea of authorities’ control over the Internet. 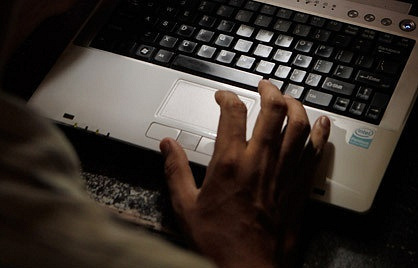 “If users opt for alternative torrent networks, and the available statistics unmistakably point in this direction, that means that they are against such control,” Irina Mishchenko, a teacher at the Russian Presidential Academy of the National Economy and Public Administration, told TASS. On the other hand, the problem of protecting national interests and ensuring security does exist, the expert agrees. And it is the duty of the state to explain this to every single user, she believes. “There should be social advertising. A law-abiding generation, aware of the interests of the state and individuals, should be grown up. This has to be explained to young people very patiently. This takes time,” Mishchenko said.